Journaling, like letter-writing (you know, with ink and paper), has pretty well been regulated to the quaint-customs-of-the-past bin. One reason, no doubt, is the internet. Blogs serve as a digital journal of sorts. And social networking offers a quasi-journaling experience. But by and large the keyboard has replaced the pen, the screen the paper, the email the old-fashioned letter, and the blog the journal. What a shame. What a loss. A journal page has never disappeared from in front of me, unlike something I’ve typed onto a screen. I’ve never not been able to read a journal entry because the power was out or my laptop battery was dead. I realize this is not a relevant scenario for most folks. But for me in my setting, electricity is an exception, only present when I initiate its production (i.e. solar panel, battery or generator). A journal is real, substantiated by physical pages between two covers. I can touch it, store it and retrieve in reality, as opposed to from some nebulous cyber–cloud. This isn’t a diatribe against the internet. I’m obviously utilizing the web’s advantages right now. It is, however, another plea for a reevaluation of what we are in the process of losing with technology exponentially exploding, inevitably brushing aside and in some cases obliterating all that doesn’t conform to its image. I’ve been keeping a journal on a daily basis (with only the occasional exception) for over a decade. I made a few false starts in high school, but could never get into the habit. The impetus was finally finding something I felt worthwhile to write about. In my case, journaling was motivated by my spiritual journey. Now it still includes that, but much more as well. Another factor was that I started noticing in my reading, particularly of biographies, how common the practice used to be—especially among the literate class. Just about anyone who has left their mark on history kept a journal. So what was it that people used to find so valuable about journaling? Most obviously, the practice insures the preservation of a personal, historical record. It’s been with joy and pleasure, sighs and even sadness that I’ve pulled out my old journals and re-lived those events whose only present reality is what translucently lurks in my memory. In some cases, I’d completely forgotten the details of an incident or conversation. While re-reading journal entries, whole days, weeks or even seasons come flooding back with startling freshness. Lessons I’d once learned and noted are reinforced. I’m also able to trace the subtle shifts and nuances of development, both in my convictions and perspectives, enlightening the path that brought me to my present worldview. 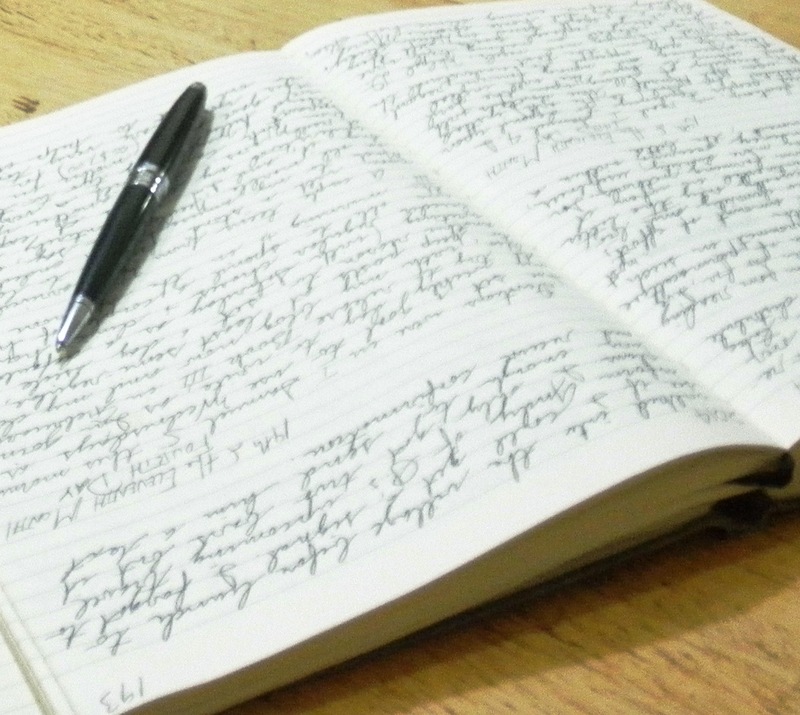 Journaling encourages critical thinking in its advocating of observation and reflection. One has to sit down, open up to that blank page and undertake to mentally process the day’s events. What was significant about today? What did I learn? Where did I blow it? Who might I have offended and need to be reconciled with? Then, how does today tie into yesterday and the day before? All of this is fodder for journaling. That’s not to say I necessarily have something substantial to write every day. My life, like everyone else’s, is full of mundane and routine occurrences. Sometimes it’s takes a real effort to jot down a few lines. And at times, what I write in the evening is nothing more than a simple record of what I did over the previous twenty-four hours. However, I’ve discovered, it’s not what you write so much as that you write. I know many people blog daily. And that’s great. But the difference is that blogging is for a wider audience and journaling is for oneself. This difference affects how and what we write. We write for others (whether acknowledged or not) in order to leave a particular impression. Since we don’t usually seek to make impressions upon ourselves, this factor is eliminated in journaling. There is a level of honesty and vulnerability reached by keeping a journal rarely achieved anywhere else. I’ve found the evening is the best for me. Obviously, if you’re writing about the day, this is a logical time to do so. But if I wait until too late when I’m physically tired, it’s hard to motivate myself to think and reflect with anything near mental vigor. My tendency to late-night sloppy writing is a reflection of late-night sluggish thinking. Habits are reinforced by routine. This goes for time as well as for as environment. I tend to journal at my desk. My journal resides on a shelf next to it, so I can sit down, conveniently open it up and go. I usually have a small notebook with me, either in my pocket or where I’m working. If a thought strikes me or I see something with potential to journal about, I make a quick note of it. As much as I would like to think I’ll remember a few hours later, the reality is I usually don’t. But I’ve discovered a notebook has the unique advantage that it doesn’t forget. On the most average of days, I might only write a few sentences, taking note of what I did, where I went, who I saw. The weather might even get a plug. These are the days when my journal reads more like ship’s log. At other times I might comment on a book I’m reading, or on a conversation I had. If I’m feeling really inspired, I could even write about a particular tree or an interesting bird. It’s also possible someone will get a character evaluation. And of course, anything out of the ordinary or especially memorable is sure to be put down in ink. My point is, there are no limits, no rules, no parameters. Just write. It’s the process that’s the essence of journal writing. Keep at it. Don’t get discouraged. You’re not writing to win a Pulitzer. In fact, you’re not even writing for anyone else to read it. Journaling is for you. Like good reading habits, keeping a journal requires practice and discipline. But also like intelligent reading, the rewards far outweigh the effort!